Learn which mobile apps your should uninstall to save battery and storage space in your Android mobile phone. These unnecessary apps don’t serve any purpose. Removing these apps should not be a problem. As soon as we buy a new smartphone, we start downloading all sorts of free apps. In no time, these apps occupy most of the space in your phone. Maybe some of the installed apps are useful and you use them often. But there are many apps that we think are useful and use them regularly to check our phone’s health, prevent it from malwares or to clean up the phone. For whatever reasons you might be using such apps, they are actually not required because most Android phones are anyway well protected. 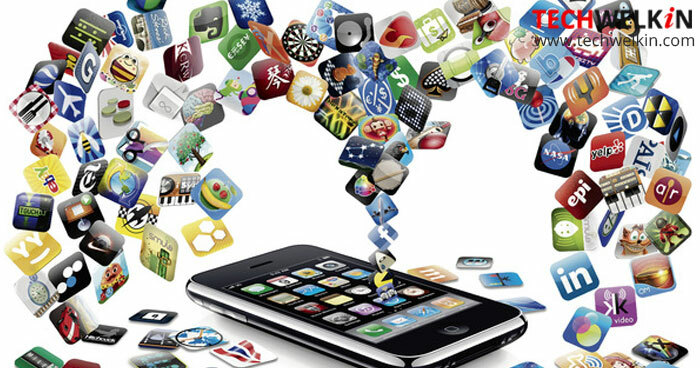 Let us check the apps that hardly serve any purpose other than consuming battery and occupying storage space. You do not need to clean your phone often unless your device is hard pressed for storage space. If you do need to clean the device often, you can do so by going to Settings > Storage > Cached data and clean the cache for all the applications. You can also clean the cache for individual applications by going to Settings > Applications > Downloaded and delete the cache of specific app. It is simple, right. Why do you need to install a separate app to clean the phone? You definitely need to ensure that phone is not consuming too much power and space and delete cache as and when required. Not all deleted apps leave behind cache or residual files. The apps that leave behind cached data can be cleaned anytime from the Settings option as mentioned above. Antivirus apps seem to be everybody’s favorite. As soon as we get a new phone, most of us first install an antivirus app. If you are in habit of downloading and installing third-party APK files, you do need an antivirus app. Some APK files may contain malicious software (malware) which could compromise your phone’s security, and hence the need for antivirus. However, most antivirus apps are not capable of removing the malicious files. It can only warn you. Antivirus keeps sending regular warnings, runs in the background and consumes battery and space. Remember that Google keeps a check on the apps and Play Store detects the presence of malware in the app. So, if you download apps only from Play Store, you should not worry about malware. Also, you should not visit unscrupulous websites as such websites trick you in installing APK files that you do not intend to install. If you carefully use your phone, you would not really need an Antivirus app. Battery saving apps do everything except save battery! We all know that to save battery power, you have to stop using energy draining apps or control Android. To control the OS, you need to have a rooted device. Without root access, battery apps can do nothing to save power. Instead of installing a battery saver app, you can manually control the battery. Go to Settings > Battery and identify the power draining apps. If you are not using the app regularly, Force Stop it and enable when required. The RAM saving apps too run in the background, consume the RAM and power even when the device is not in use. You can stop the background apps to boost the memory. Even if you close these RAM saver apps, they tend to restart soon. Android OS manages the RAM usage efficiently. Therefore, you do not need a third party RAM saving app. Manufacturers and carriers load Android phones with their own apps. If you do not use these apps, they clutter your system and drain battery in the background. You hardly have any choice when it comes to removing bloatware from your system. Uninstalling the pre-installed apps may result in performance issues or instability, and in some cases may block your phone from receiving updates. Therefore, it is recommended that you Disable or Force Stop these apps. Alternatively, you can Disable the app followed by Force Stop and then click the Clear Data button. Disabling an app removes it from the app drawer and prevents it from starting automatically in the background. You can enable the app as and when you need to use it or if you experience an issue in the functioning of your phone. So far, I have not experienced any instability on my Android after disabling or Force Stopping an app. Depending on the manufacturers and carriers, certain Android device may include own custom-made web browsers. It is therefore, advisable to uninstall the default web browsers and install the most reliable ones available from Play Store for a smooth user experience. Often people install browsers like Chrome from Play Store but they do not uninstall the browser that came with phone.